Aircraft cabin design research to improve the in-flight sleep of long haul economy passengers. 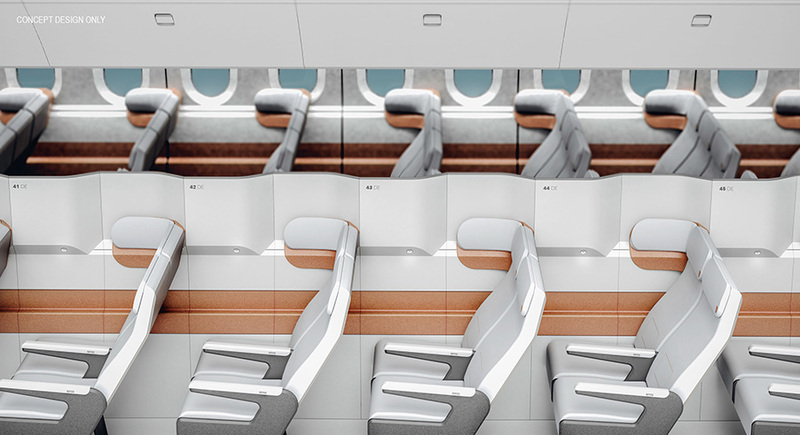 Repose is an aircraft cabin concept design to improve sleep for economy class passengers on long-haul flights. The design resulted from a practice-based PhD design research project and stood apart from existing solutions in that sleep improvement interventions are provided from the design of the aircraft cabin environment instead of the design of the seats. Passengers on a long haul flight want to sleep, however, sleep remains elusive for most people. As a result, discomfort and poor sleep health became common associations with air travel, especially for economy class passengers. Previous attempts in passenger sleep improvement were overwhelmingly seat-centric and as such demanded more resources and often increased the cost to the passenger. As a result, on an aircraft, quality sleep has become a privilege for a few instead of a basic need that is met for all passengers.